A mid-December announcement by the European Union was made stating that the EU had agreed to restore ties with the Southeast Asian Kingdom of Thailand "at all levels" after suspending them in 2014 in the wake of a military coup which ousted the government of Yingluck Shinawatra. The bloc said developments in Thailand this year, including the adoption of a new constitution and a pledge by junta chief Prayut Chan-O-Cha to hold elections in November 2018, meant it was "appropriate" to resume ties. But the European Union repeated its call for the restoration of full democracy and said it was still concerned about harassment of human rights activists and the curtailing of free speech in Thailand. What the AFP article and the EU statement both fail to mention was the context of the 2014 coup, the nature of the government it ousted from power and precisely which groups have been subjected to the so-called "curtailing of free speech." The EU's move, which was immediately supported by the US embassy in Bangkok, is likely an attempt to pressure the current interim government from further delaying elections and holding them prematurely, thus likely returning political proxies associated with Yingluck Shinawatra to power. Yingluck Shinawatra was sister to ousted former prime minister Thaksin Shinawatra. Thaksin Shinawatra held office from 2001-2006, committed serial human rights abuses including the extrajudicial killing of nearly 3,000 in a "war on drugs" in just under 90 days in 2003. He also eagerly censored his political opponents and critics in the media either through courts or through physical intimidation and violence. Several of his critics were either assassinated or disappeared over the course of this time in office. In 2006, the Royal Thai Army swiftly and without bloodshed, ousted Thaksin Shinawatra from power. Since Shinawatra's removal from power in 2006, he and his supporters have conducted an on-and-off campaign of terrorism, violence, arson, political assassinations together with a concerted propaganda campaign attacking Thailand's independent institutions including the nation's courts, its military and its constitutional monarchy. Together, these institutions represent insurmountable roadblocks to Shinawatra's return to power. They also, by no coincidence, impede foreign interests from entering and fully exploiting Thailand, its population and its natural resources. It has been groups associated with Shinawatra's efforts to attack and undermine Thailand's institutions that have been targeted by the "curtailing of free speech." These groups also so happen to enjoy extensive funding, political and material support from the embassies of the United States, United Kingdom, Canada and the EU. 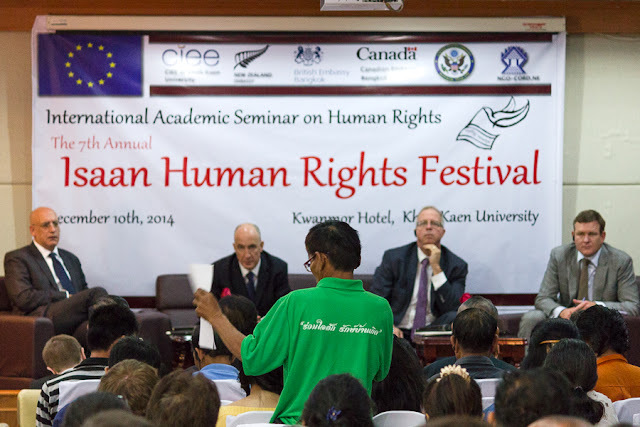 US-EU diplomats regularly organise events to foment opposition to Thailand's government, right in the heart of Shinawatra's former political stronghold of "Isaan," or northeastern Thailand. The EU has demonstrated zero respect for Thai sovereignty and its offer to "restore ties" to the nation are loaded with preconditions undermining Thailand's national interests. The aforementioned AFP article also characterised the ousted government of Yingluck Shinawatra as representing a certain level of "democracy." However, Yingluck Shinawatra openly campaigned in 2011 as her brother's admitted proxy. Thaksin Shinawatra currently resides abroad evading jail after a criminal conviction for abuse of power was handed down by Thai courts in 2008. In other words, the "democracy" AFP claims Yingluck Shinawatra's government represented in reality amounted to a convicted criminal running the government remotely through a nepotist-appointed proxy. In truth, it represented neither "democracy" nor adhered to even the most elementary underpinnings of rule of law. As to why the EU seeks elections in Thailand prematurely before reforms can be fully implemented and Shinawatra's return to power blocked indefinitely, it is necessary to examine Shinawatra's utility to US and European interests both in Thailand and in a wider context, in Asia Pacific vis-à-vis China. During Shinawatra's time in office, he eagerly supported US-European foreign policy both in Asia and globally. He committed Thai troops to the invasion and occupation of Iraq in 2003 and hosted the US Central Intelligence Agency's extraordinary rendition and secret detention programme on Thai territory. He also attempted to pass a US-Thai free trade agreement by sidestepping both public opposition to it and any form of Thai parliamentary review and approval. 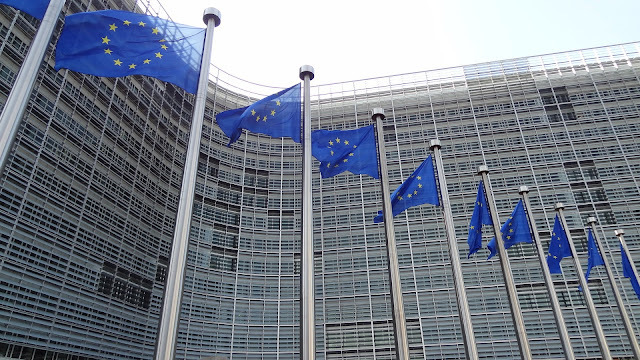 The most recent EU statement also included mention of "free trade." With years of US-European support for Shinawatra's efforts to return to power accumulating a substantial political debt, any possibility of his actual return would be accompanied by an even more zealous commitment to US-European interests at Thailand's and the region's expense. In a wider context, the time period Shinawatra held power saw the US and Europe cultivating other client regimes in the region including Aung San Suu Kyi and her National League for Democracy party in Myanmar, Anwar Ibrahim in Malaysia and before a very recent falling out, Hun Sen in Cambodia. Together, this collection of client regimes was to constitute a united front against the growing influence of Beijing. From the turn of the century to present day, it is clear that US and European plans have suffered immeasurable setbacks. In Thailand, Shinawatra's ouster in 2006 followed by his sister's ouster in 2014 represent a downward trend in both Shinawatra's political staying power and the influence of US-European-funded organisations, media platforms, institutions and opposition fronts. And as US-European influence via clients like Shinawatra wanes, ties between China and Thailand have grown substantially. While Washington offers "free trade" and ambiguous "military ties" to Thailand, Beijing offers nationwide infrastructure projects including high speed rail, new rolling stock for Thailand's existing mass transportation networks, military hardware to replace Thailand's ageing US-made inventory and above all, a partnership absent of preconditions regarding Thailand's internal political affairs. These deals have been sealed by the political order opposed to Shinawatra and currently holding power in Thailand. Despite hopes fading of ever reestablishing primacy in the Pacific, it is clear that the US and its European partners have not abandoned efforts to try. And while their primary objectives may never be achieved, slowing Beijing's ascent enough to integrate it into the existing Washington-London-Brussels dominated international order rather than having Beijing find itself at the head of an alternative model of international relations, in their minds, may still be possible. While any sort of substantial and enduring return to power for Shinawatra or a US-European proxy like him is highly unlikely, as the United States and the European Union have done elsewhere, particularly in the Middle East in regards to Iran's rising influence and its enemies' inability to contain it, where client states cannot be created, chaos is created instead to deny opponents economic and military partners, or any semblance of peace and stability along their peripheries. A variety of gambits have been put into play simultaneously alongside efforts to return Shinawatra to power aimed at sowing discord within Thailand and producing synergies with similar destabilisation efforts in neighbouring Myanmar and Cambodia. These include efforts pursued by the US and EU member embassies in Thailand itself to prop up and perpetuate protests against the current Thai government. They also include efforts to expand conflict in Thailand's troubled southern provinces and foster inter-religious conflict between Thai Buddhists and Muslims who have coexisted for centuries. In other words, if the US and Europe cannot have Thailand, they have cultivated multiple options to ensure the nation can provide no one else, particularly Beijing, constructive ties or contribute to wider regional peace and prosperity. 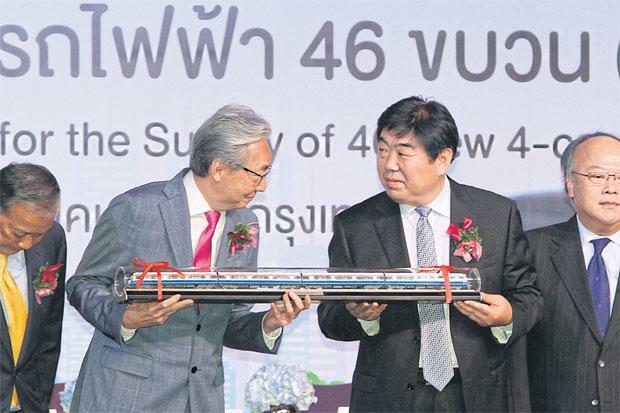 Growing Thai-Chinese ties include the signing of extensive infrastructure projects including those surrounding mass transportation. This explanation goes far in illustrating why media organisations like AFP and the European Union in its recent statement so disingenuously portray Thailand's current political crisis as a battle between "democracy" and a "junta." The truth is far more illuminating as to who, what and more precisely why Thailand is unable to enjoy political stability and move forward together with the rest of the region into economic prosperity Europe and its partners across the Atlantic see disappearing into the distance as the global balance of power shifts. 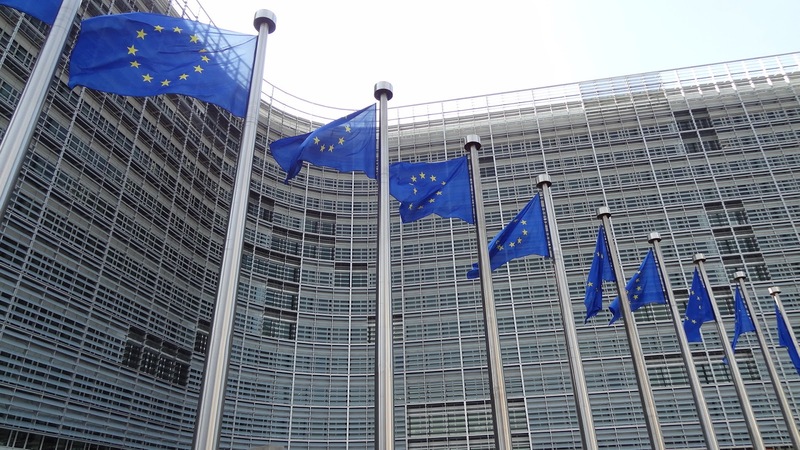 The EU "restoring ties" with Thailand is mostly symbolic. Bangkok is unlikely to receive any benefit from these "ties," and regardless of the current government's timetable for elections or any signal from Bangkok in appeasement to Brussels, EU member embassies have every intention to continue creating and sustaining opposition fronts aimed both at fostering short-term instability and the long-term undermining of Thailand's sovereign institutions. For Thailand, continuing to foster real partnerships and ties beyond the US and EU while building up its own independent capacity to ensure economic prosperity and national defence is essential to overcoming the challenges EU "ties" really represent. Anglo-American and European foreign policy for centuries has been predicated on dictating terms from a position of uncontested strength. As the global balance of power shifts, this position of strength has eroded. Whatever Thailand agrees to, it must be done in the wider context of further eroding US-European primacy in regions thousands of miles from their respective capitals and striking a more equitable and mutually beneficial balance in international relations. 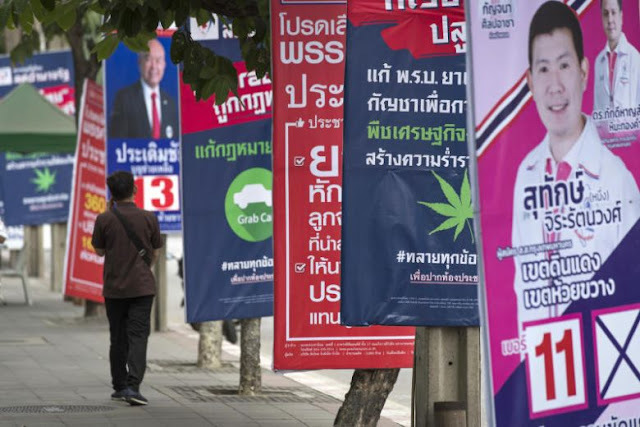 The EU's offer to "restore ties" with Thailand is empty and will only serve as a thin veil over continued efforts to coerce Bangkok into rushing ahead with elections the EU and its partners in Washington hope to influence.